Throughout our 20+ year history, PAF has lead the industry in patient-focused services while translating the issues or concerns identified in our direct patient services data into targeted survey projects that yield key information for social justice, health equity and healthcare transformation efforts. Data collected from PAF survey projects yield insights into the types of programs and services that are most important to patients – with a goal of improving when and how we connect people to these resources, explaining the need to preserve, expand and enhance person-centered care. Patient Advocate Foundation received Charity Navigator’s esteemed 4-star rating in 2018, marking the ninth consecutive year that PAF has been awarded this highest possible rating, a level of consistency achieved by only 2% of all charities evaluated. Founded in 2001, Charity Navigator has become the nation’s largest and most-utilized evaluator of charities. In their quest to help donors, Charity Navigator’s team of professional analysts examine tens of thousands of non-profit financial documents and used this knowledge to develop an unbiased, objective, numbers-based rating system to assess over 9,000 of America’s charities. Charity Navigator provides these ratings so that charitable givers / social investors can make intelligent giving decisions, and so that the nonprofit sector can improve its performance. Specifically, Charity Navigator’s rating system examines two broad areas of a charity’s performance; their Financial Health and their Accountability & Transparency. Ratings show givers how efficiently they believe a charity will use their support today, how well it has sustained its programs and services over time and their level of commitment to good governance, best practices and openness with information. To view the PAF’s review, please visit the PAF Charity Navigator profile at https://www.charitynavigator.org/index.cfm?bay=search.summary&orgid=12466. 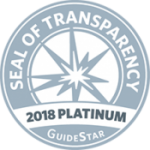 Patient Advocate Foundation has consistently earned the GuideStar Platinum Seal of Transparency, the newest and highest level of recognition offered by the worlds largest source of nonprofit information. The platinum rating recognizes transparent reporting focused on progress measurements and results which extend beyond financial rations and showcases key metrics and data indicators that illustrate the tangible impact we are having. Visit PAF’s GuideStarUSA profile to learn more about PAF: https://www.guidestar.org/profile/54-1806317. Patient Advocate Foundation’s professional case managers were honored by Dorland Health, a division of Access Intelligence, in 2015 with a Case In Point Platinum Award recognizing utilization management programs for their case management team. Patient Advocate Foundation’s professional case managers were honored by Dorland Health, a division of Access Intelligence, with a 2015 Case In Point Platinum Award recognizing social work programs for their Disaster Support Initiative. PAF’s Disaster Support Initiative was launched in May 2013 to serve patients impacted by the Boston bombing and the West Texas explosion. Patient Advocate Foundation’s professional case managers were honored by Dorland Health, a division of Access Intelligence in 2014, with a Case In Point Platinum Award recognizing outstanding integrated case management through the organization’s MedCareLine division. Patient Advocate Foundation’s professional case managers were honored by Dorland Health, a division of Access Intelligence, with a Case In Point Platinum Award in 2013 recognizing outstanding case management organizations that are making a difference in the complex world of healthcare. This year’s award highlighted the innovation and creative work across the healthcare system that is striving to improve access, wellness, and safe transitions of care throughout the care continuum. "While a cancer diagnosis is difficult in itself, the endless difficulty in communication with healthcare companies is even more difficult!  For now, we have what appears to be a better understanding of the coverage we have available should the specialty hormone therapy medication be the choice my husband makes. Thank you so much for your assistance! We appreciate your help! God bless you in the days to come!"